River Seine and Musee D’Orsay. 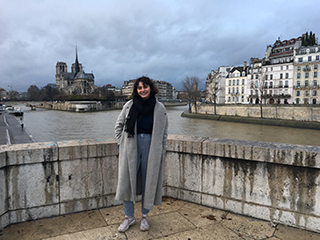 Elana Bartholomeusz completed an exchange at Sciences Po, Paris, in Semester 2 2017. My experience at Sciences Po University in Paris was, to put it simply, like nothing else I had ever done in my life! This exchange was so rewarding for countless reasons, and I really enjoyed so many aspects of the student and Parisian life. As well as the social and study factors, I gained extensive cultural knowledge and was constantly inspired by going to endless art galleries, museums and small exhibition openings – to the extent that I’d now consider incorporating art/art history/media into my career. One important thing about the SciPo Paris exchange is that there is not a huge amount of actual on-campus life – no official residence like the stereotypical American colleges. However, I liked this – I would not have enjoyed dorm life with continuous team activities etc. In Paris I was able to separate my classes from my university social circles to my non-university and residential experiences. The Welcome Programme was a lifesaver in terms of networking: I met so many international students and made a circle of at least 5 good friends and an outer group of about 15 who we met constantly for parties and catch-ups. These friends came mostly from Europe, the UK and Australia, but also from the Middle East, the Americas and Hong Kong. The wide array of subjects I took in English and French, traversing Political Science, Democracy, Religion, French & Art History were all interesting, the professors being very competent, and often leaders in their fields. There is quite a high level of academic commitment expected at Sciences Po, which overall I didn’t struggle with, but some others did. The advantage of being an overseas student really gives you the chance to immerse in the nation and its culture, and live as close to locally as possible. I found this to be the key factor about studying in France. Having spoken and studied the language for several years, I enjoyed being able to experience my dream of living and working in the country, and assimilating to some extent with students there. 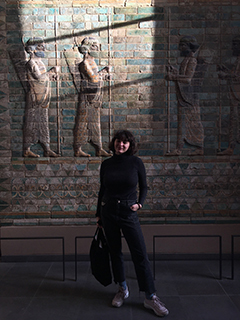 Additionally, my exchange gave me the proximity and free time to explore many other European destinations on weekends and after the term – including seeing the Venice Biennale, going to Rome, Athens & Greek Islands, Spain, the UK, Copenhagen, Istanbul, Vienna and Berlin. 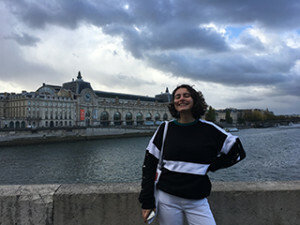 This entry was posted in Europe, Faculty of Arts, Faculty of Professions, France, Law, Student Blogs and tagged academics, advice, clubs, comfort zone, day trips, Exchange, Faculty of Arts, Faculty of Professions, France, French, language, Law, Paris, real talk, Sciences Po, tips, travel. Bookmark the permalink.